If you are looking for a true 6 plus framed son of 1682 Yeti is the bull. Yeti provides double digit CED along with ranking in the top 1% of the breed for WW, YW, $W, $F and $B. He also ranks in the top 4% of the breed for Marb and the top 5% for CW. 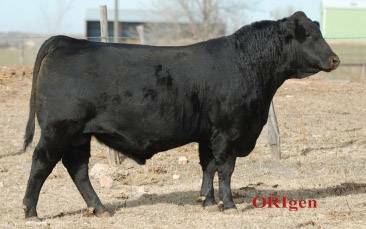 Yeti touches all the bases for calving ease, growth, and carcass traits and combine this with his very sound structure and fleshing ability it make him a problem free bull that can be used to meet all of your beef production goals.